Cross country skiing is a great way to stay in shape, and it’s an awesome way to get the family together outdoors in the winter. Toronto may not be known for ski trails, but the area around it has some of Ontario’s best cross country skiing trails. Algonquin Park’s Fen lake Ski Trail and Leaf Lake Ski Trail are consistently rated two of Southern Ontario’s best for cross country skiers. 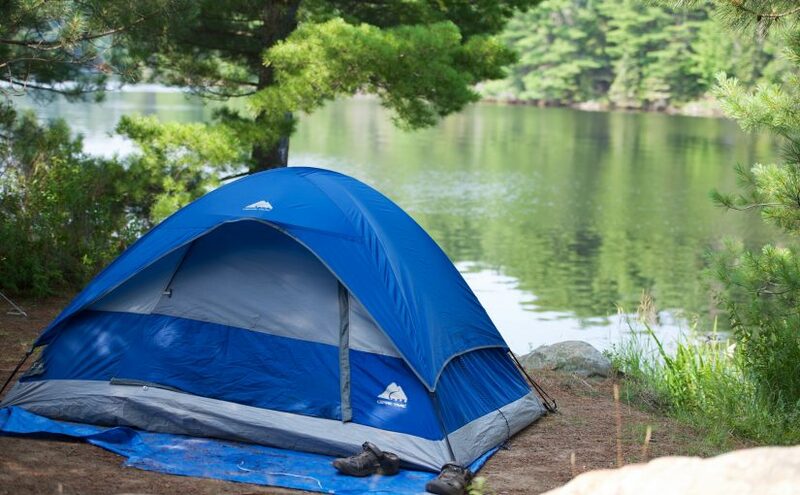 There is no admission fee to Algonquin Park, but the vehicle permit fee is $16 per day. Skiers must bring their own equipment, but there are numerous options when it comes to finding a place to stay. Located in Algonquin Provincial Park, Fen Lake Ski Trail is made of several loops, so you can choose how much of it you’d like to cover, from 1 kilometer to 14 kilometers. The entire trail is groomed and track set, but each section is appropriate for various skill levels from easy to moderate. Located at the west end of the park, the trail at Fen Lake is great for nature lovers, and it is recommended that beginner skiers stick to the trails located near the west gate. Located near the east gate of Algonquin Provincial Park, Leaf Lake ski trail is made of three loops, and is groomed and track set for cross country skiing only. The various loops of the Leaf Lake trail range from 5 kilometers to 30 kilometers, and the difficulty ranges from easy to difficult. Leaf Lake Ski Trail offers some of the most beautiful views in Ontario, and is great for cross country skiing enthusiasts and adventurous nature lovers. The third main cross country ski trail at Algonquin Provincial Park is Minnesing Wilderness Ski Trail. It’s located about 23 kilometers from the west gate, and is intended for backcountry wilderness skiing or snowshoeing. If you choose to take this trial, you must have the appropriate equipment for deep snow, and be prepared for difficult portions of the ungroomed trail. There is a cabin available for overnight stays, however, if you plan to stay overnight, it is always best to prepare for camping. If you’re looking for something a little closer to Toronto, Albion Hills Conservation Area is worth looking into. This family friendly park is appropriate for all levels, including first time skiers and skate skiers. Both child and adult gear is available for rent, so you and your family can explore up to 26 miles of groomed and track set trails. Whether you’re taking a day trip from Toronto or you want to spend a few days here, Albion Hills also offers snowshoeing, ice skating, and tobogganing. Horseshoe Resort is one of the best places around Toronto to take the family. With 31 groomed and track set cross country ski trails, this resort intends to help your family focus on fitness. They offer ski lessons, rentals, and tons of other activities for a short visit or for an eight week pass. You will be one of many people on the trails at Horseshoe, but it offers an excellent combination of outdoor fitness activities, family appropriate fun and relaxation. About two and a half hours from downtown Toronto, the Haliburton Nordic cross country ski trails span 70 kilometers split into five main sections. Trails are either groomed for skate skiing, classic cross country skiing, or both. The trail at Glebe Park in Haliburton is groomed for both classic cross country skiing and for skate skiing. At 13 kilometers long, it ranges in difficulty from beginner to intermediate. Most races held at Haliburton Nordic Trails take place at Glebe Park. If you’re up for it, one loop of the trail is open for a kilometer and a half of night skiing. Moosewoods also ranges from beginner to intermediate in difficulty, and is great for nature lovers looking for a gorgeous view. Fifteen kilometers of groomed and track set trails lead to a large hut where you can stop and warm up along the trail. Hardwood Hills is one of the highest rated ski areas in Ontario, and it boasts a variety of options for skiers of all levels and ages, from beginners to elite racers. Winter trails range from short distances to 70 kilometers, and are groomed for either classic cross country skiing, skate skiing, or both. If you happen to be around when the snow is melted, these trails are also great for mountain biking, hiking, running, or nature walks. Most of the trails near Deep River are well known by the locals, and about half of them are maintained by the Deep River Cross Country Ski Club. When weather permits it, these trails are great for snowmobiling and mountain biking as well. Thirty kilometers of trails at Silver Spoon are available for both classical cross country skiing and skate skiing. The majority of trails are groomed, but check a map when you get there to make sure. One time membership fees are reasonable either per family or per individual, and members also have access to the Deep River Cross Country club chalet to warm up. 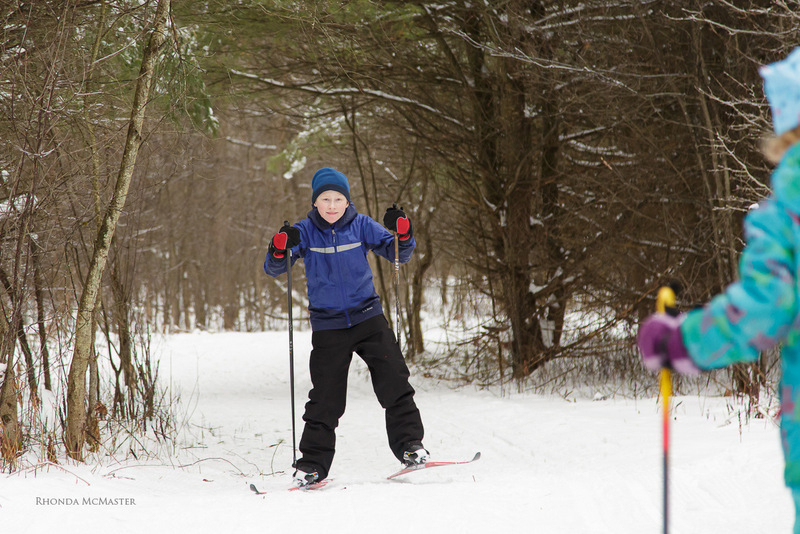 The Silver Spoon Ski Fest, held by the Deep River Cross Country Ski Club is coming up on February 7, 2015. In the summer, the sand dunes and 14 kilometers of sandy beach along the lake offer beautiful sunsets, wildlife, hiking trails and more. When the snow falls, the dunes and forests provide the perfect scenery for 30 kilometers of cross country ski trails. Ski and snowshoe equipment is available for rent, and food and a warm fire are waiting for skiers at the Nordic Center. Check the website for information on events held at the Nordic Center or on the ski trails. No mention of Terracotta Conservaion Area?